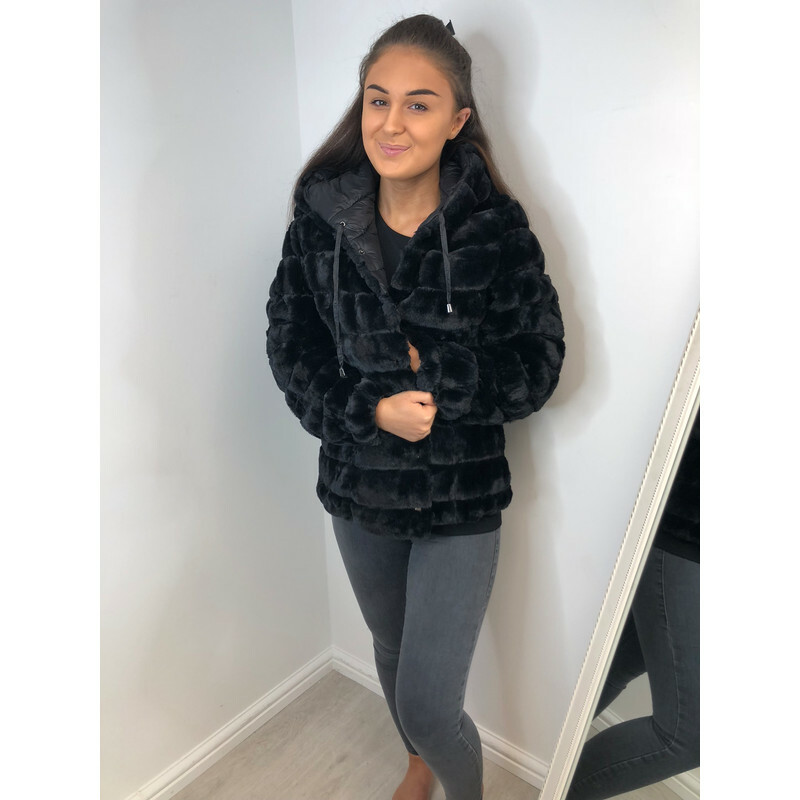 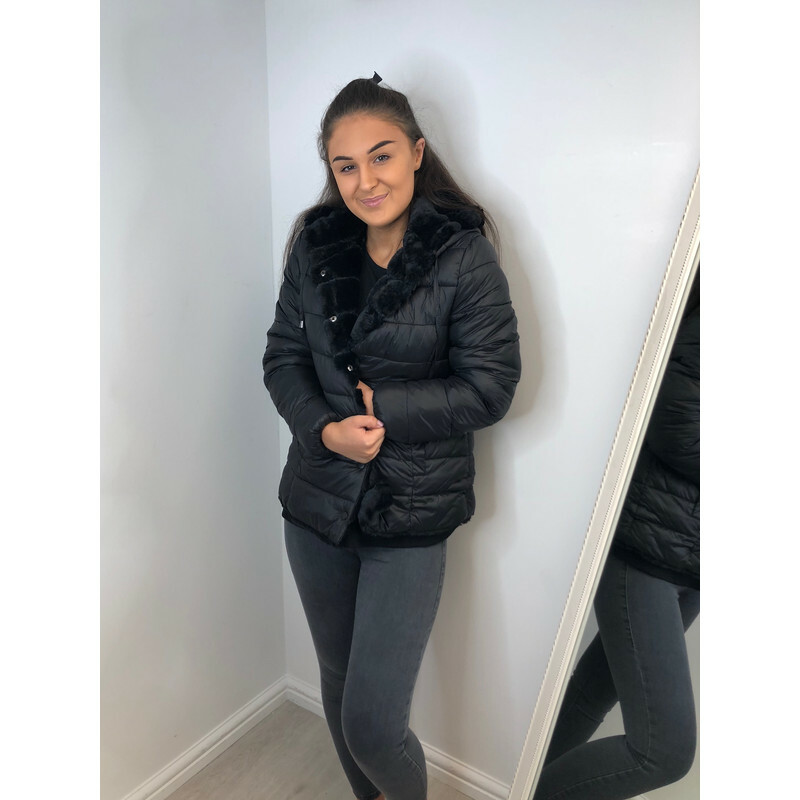 Lulu Padded Faux Fur Reversible Coat is perfect for all occasions. 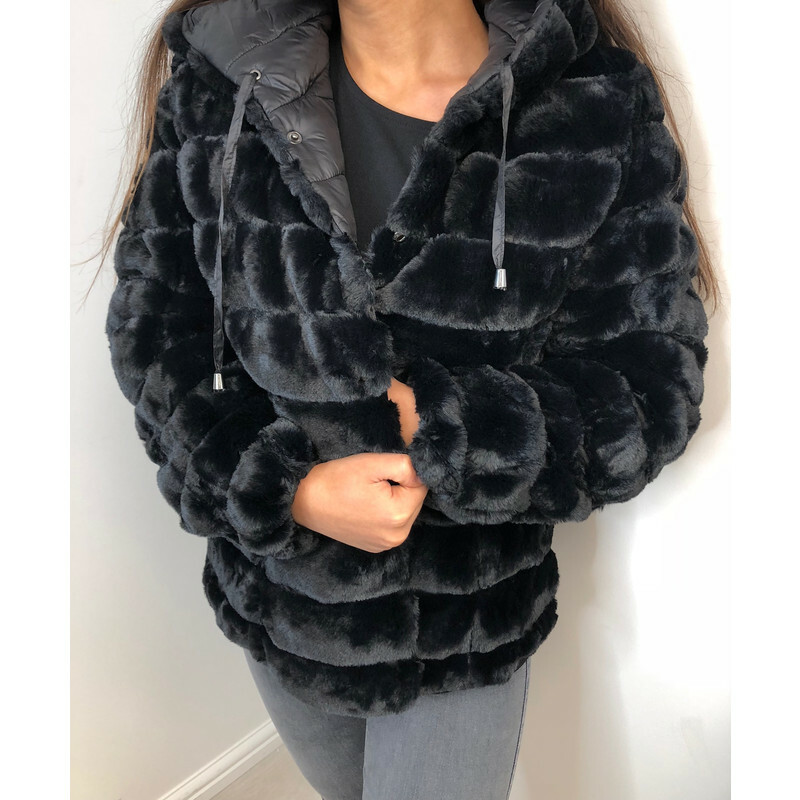 Wear casual with the plain side with jeans and transform to evening with the reversible faux fur for an elegant evening look. 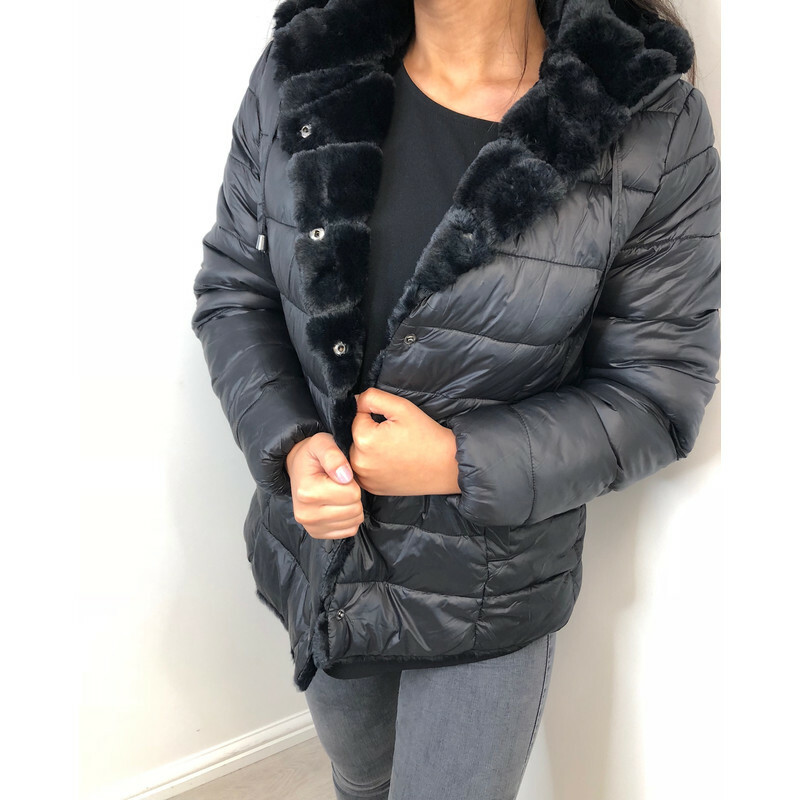 With a fabulous hood and press stud fastenings this has to be the most versitile coat you will own.